The world is exploding with art fairs, biennials, festivals, concurrent events, off-fairs, international symposiums on globalization, large scale happenings and a multitude of other art based events. Shanghai to Sï¿½o Paulo to Athens to Venice to London and even Milwaukee, the art-town phenomena is spreading like chicken pox in a kindergarten class. From gallerists to curators to mayors to artists to city council members to collectors and even to people walking down the street, almost everyone agrees that art, and the art market, is in full swing and booming. While many claim this is the golden ticket to pull a struggling town out of an economic tailspin or the perfect way to make an average city an international destination, few seem to consider the side effects that this has on the preexisting culture of a city. 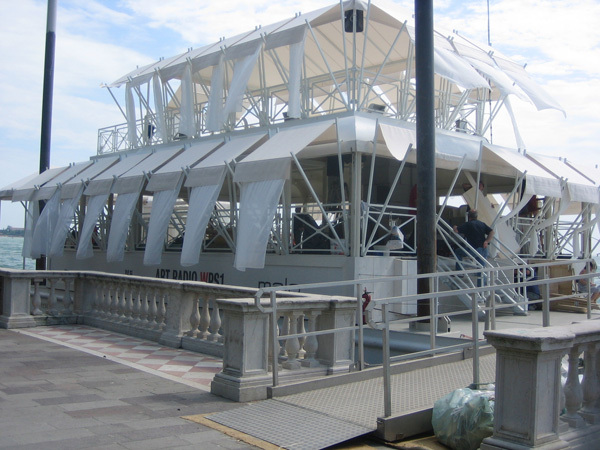 Venetian Interiors was a program designed to explore the biennial system and its side effects, in the granddad of them all, the Venice Biennale. 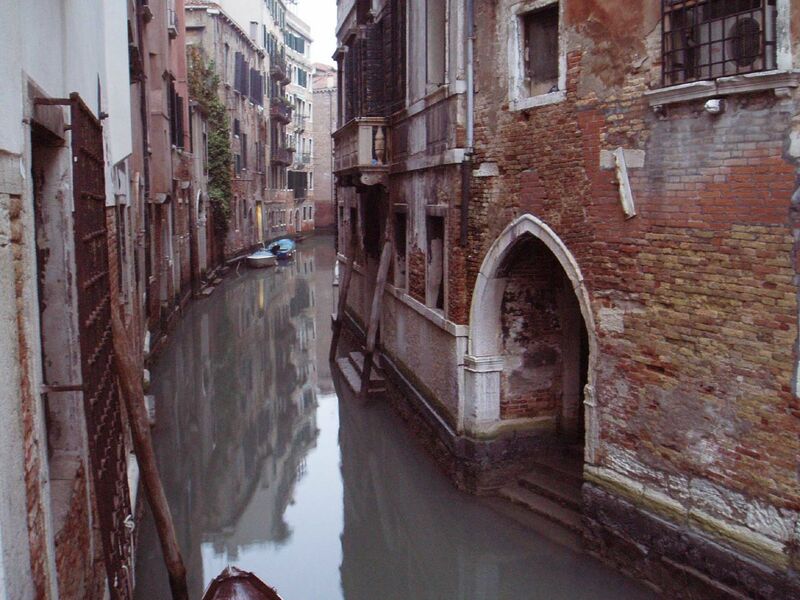 Collaborating with the artists who live and work in Venice, WPS1 set about attempting to explore the relationship between the community of Venice and the Biennale. Zefrey Throwell met with a large group of Venetian artists at a local artist salon in Venice that gathers at artist Maria Morgantiï¿½s studio every Wednesday, called ï¿½ I Mercoledi Degli Artistiï¿½. Together with these artists, Throwell formulated questions to investigate the underpinnings and correlations as well as conflicts and abrasions that link the Biennale to itï¿½s people. Then both the artists and Throwell hit the pavement and interviewed hundreds of people, ranging from shop owners to waitresses to local curators to dock workers to Venetian radio collectives to tourists and even some British soldiers who happened to be in town. 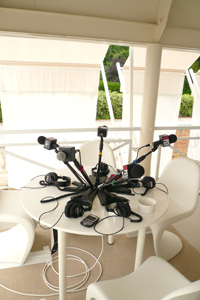 ART RADIO Broadcasts Live from the 2007 Venice Biennale, June 4 - June 10.